The new LXi surpasses our previous LX model in delivering the purest audio signal on the market. The primary innovation: a sleek volume control unit that gives remotely control of volume, muting and input selection. 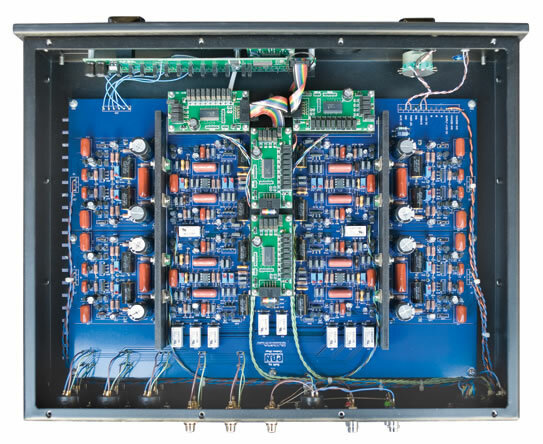 Its stand alone power supply incorporates two heavy-duty transformers and an amazing eight filtering chokes, far and away a higher standard than most competitive products. We do this is to feed the amplifier circuit the cleanest possible DC voltage, ensuring that you experience music in its purest form. 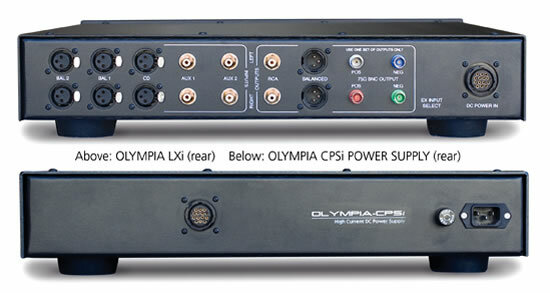 The Olympia Li, built with one transformer, easily generates more than the required capacity to deliver a clean, unwavering signal to the amplifier (whether built into the speakers or a stand-alone unit like the Olympia AX). Compared to other manufacturer’s high-end pre-amps, the Li more than holds its own in its powerful support of PBN’s family of ultra high-end speakers and amplifiers. It also comes with a stand-alone power supply and volume control unit. These two next-generation pre-amps are built to drive the most demanding cable/amplifier loads. Without an Olympia pre-amp the full, precise audio dynamics produced by PBN speakers will not achieve the level of performance for which they were designed. Quality audio is not only about what you hear, but also what you don’t hear. Filtering out any trace of shadow sounds and other noise that clutter or dampen the music is where a great pre-amp shines. Separate windings for each quadrant in amplifier.